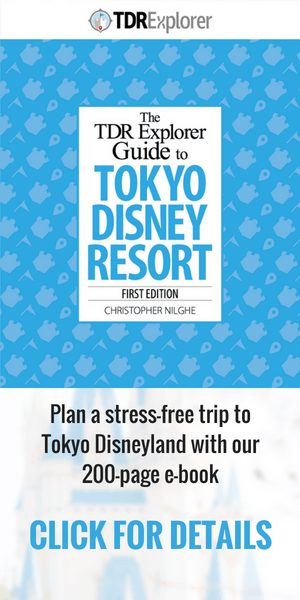 For more on eating at the parks, check out our guide to dining at Tokyo Disney Resort and our top 10 snacks (these are available year-round). Watch my full video below (or on YouTube). 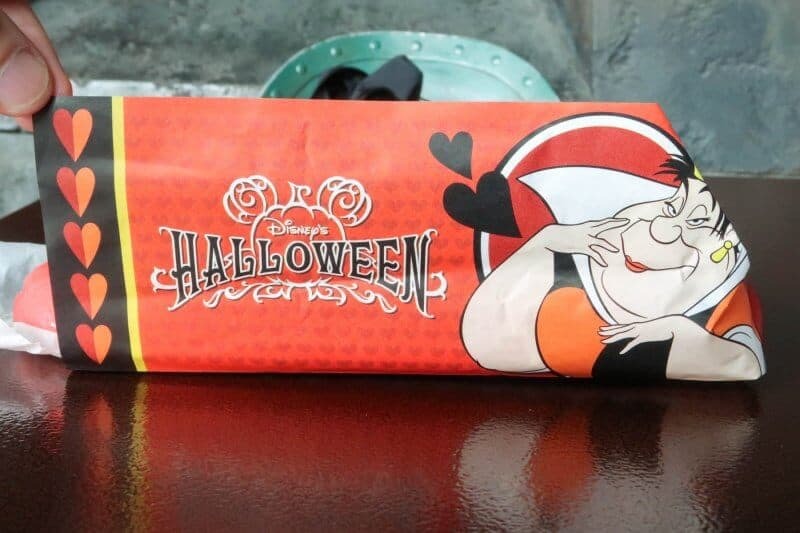 All snacks are available until October 31 and are part of Disney’s Halloween. 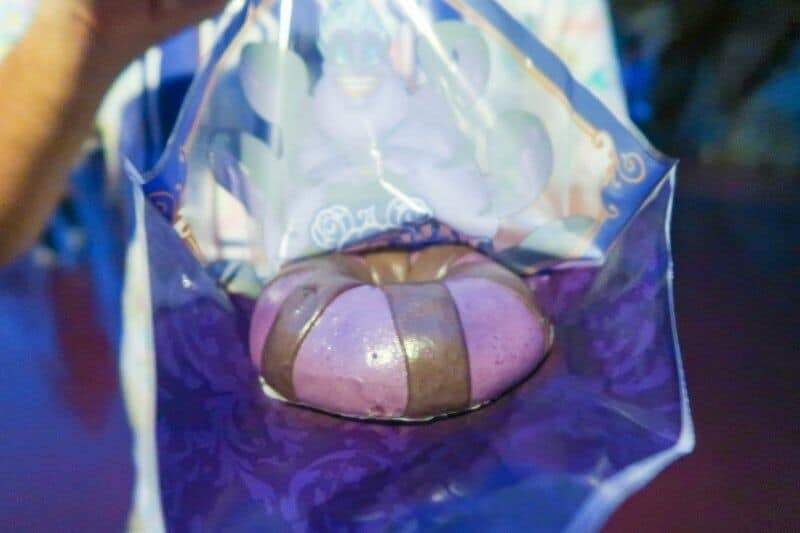 Steamed buns with meat are a popular treat at Tokyo DisneySea and this “Ursula-themed” snack is brilliant. 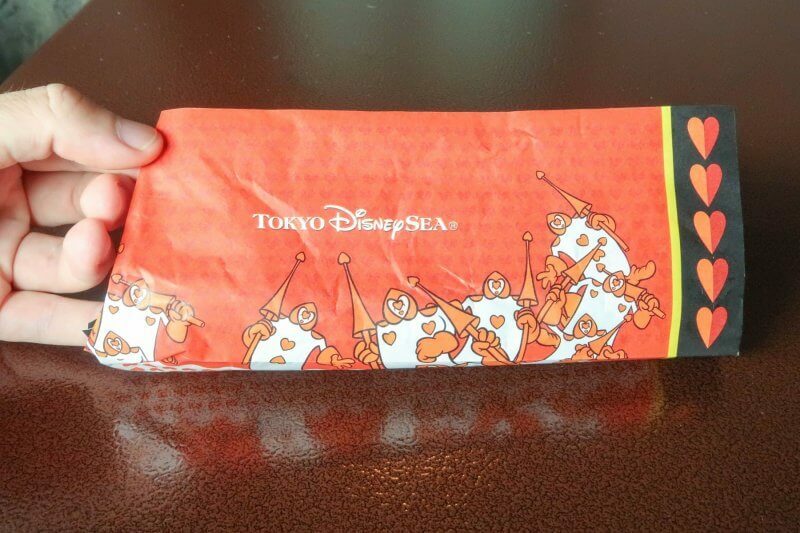 The regular one features Donald Duck and only has shrimp (it’s not available during Halloween). 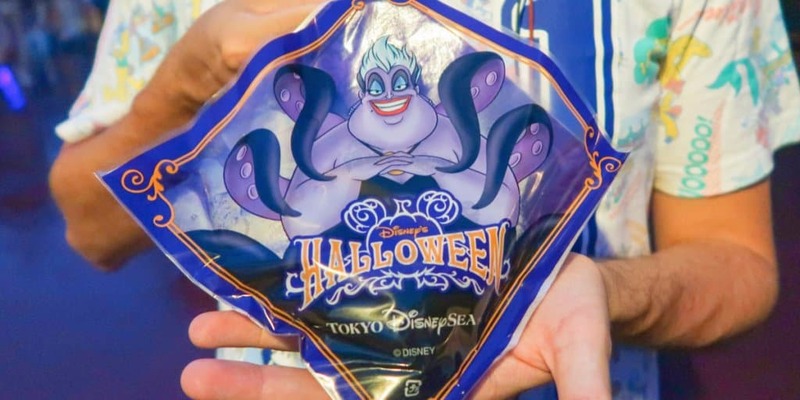 This one for Halloween is black, purple, and features Ursula on the packaging. The inside has spicy shrimp, which has a small kick but is nowhere near “spicy” for most. While there is pork inside, you don’t taste it too much. Overall, it’s a great snack and one of those Instagram-worthy items (make sure to tag me if you post it, I want to see). While it’s difficult to consider this a snack, I am including it the list anyway. Whenever I have curry from the Casbah Food Court, I opt for the lassi drink each time. It’s a great way to cut the spice of the curry (even though it’s not that spicy). The strawberry and lemon pair well together and create a refreshing beverage. 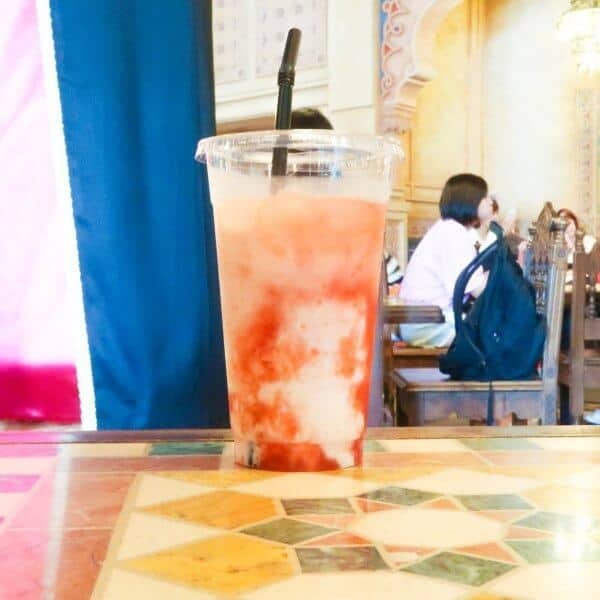 The only downside is the clear plastic cup isn’t themed – I wish it was with Jafar or any of the villains on it. This dessert delivers a pleasant flavour experience. 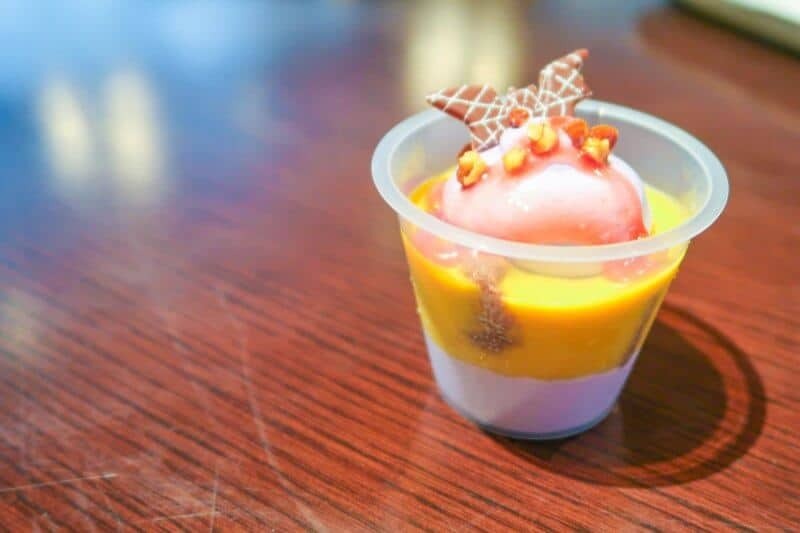 The purple sweet potato mousse and pumpkin pudding pair well together. It does sound weird, but trust me when I say it’s good. Aesthetically the dessert oozes Halloween. 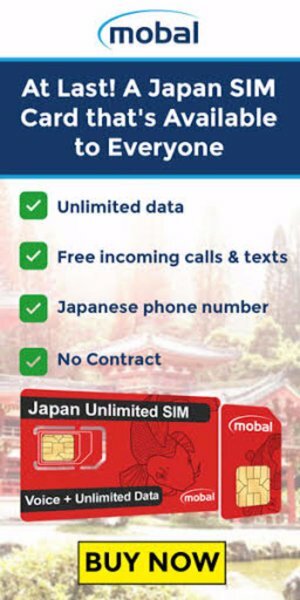 Grab a Japanese Today Guide to see where these locations are. 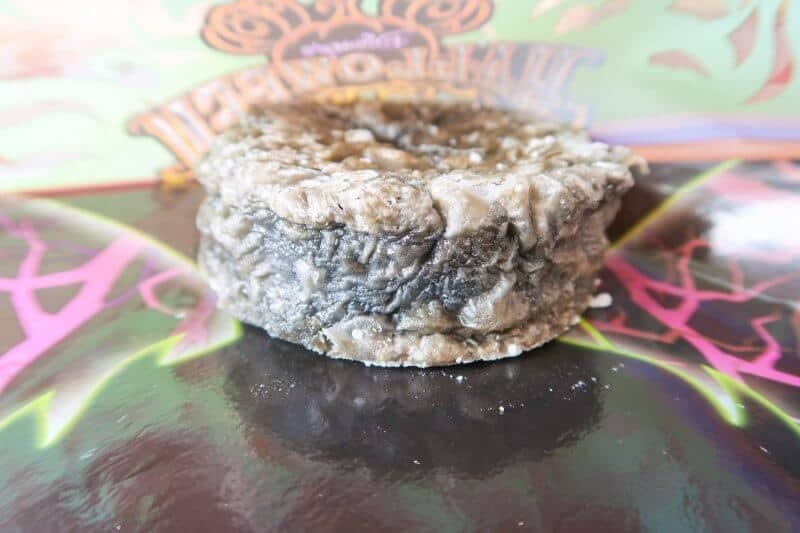 It’s easy to skip this round cake as it doesn’t look as “cool” as the other snacks. It’s flakey on the outside but dense on the inside with delicious sweet potato. This is a safer option for those less adventurous in their culinary adventures. 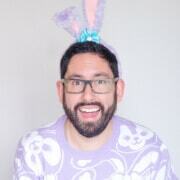 In previous years, this bun had a few different looks to it. Last year was black and white (Cruella de Vil), and before that black with a pumpkin on top. 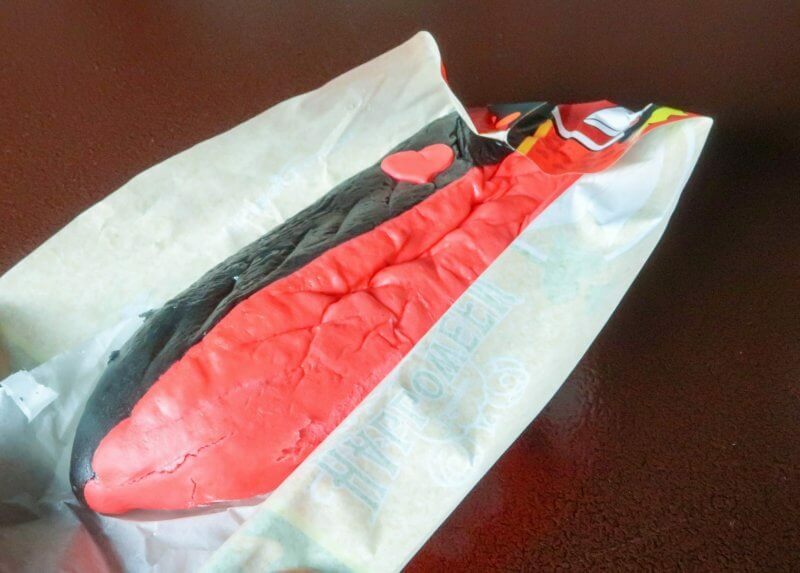 This year the Queen of Hearts is in the spotlight with this popular snack. It’s a steamed bun filled with pork and vegetables. This is my favourite out of the bunch and tastes delicious (take note of the awesome packaging too)! Be mindful of the black part of the bun becoming stuck in your teeth. If you watch my video you’ll see I didn’t take my advice. 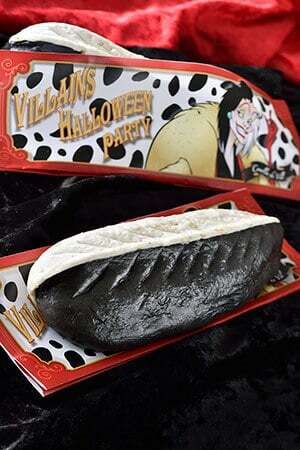 Which one of these is on your list of snacks to try this Halloween? Let me know in the comments!